Tomatillo chicken, called pollo entomadado, is prepared with skinless chicken thighs and legs, and white potatoes simmered with tangy tomatillos and chipotle chile in adobo sauce. Chicken doesn’t have to be dull. This dish has layers of flavor. 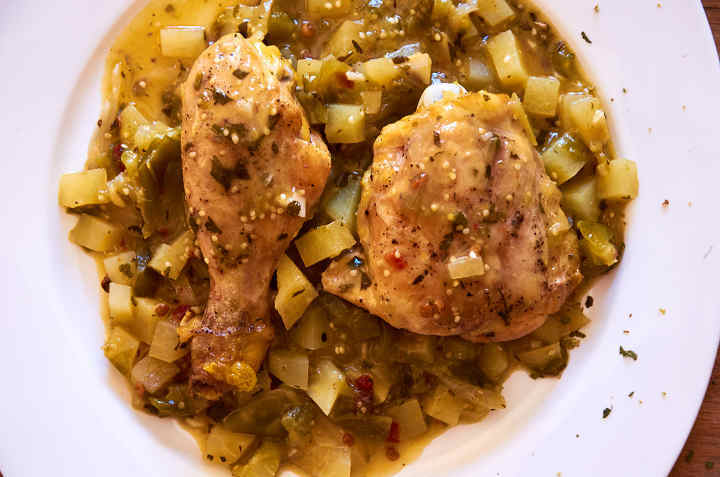 The chicken is lightly browned, and the tomatillos sauteed then all the ingredients are simmered together to create a rich sauce. It’s even healthy as an added bonus. 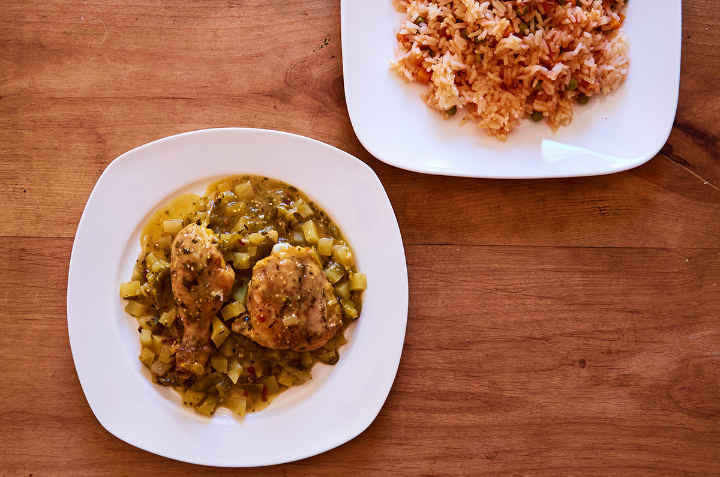 We like to serve it with Mexican Rice or white rice as a side dish but it’s so good it doesn’t need a side. A stack of warm corn tortillas is always welcome too. 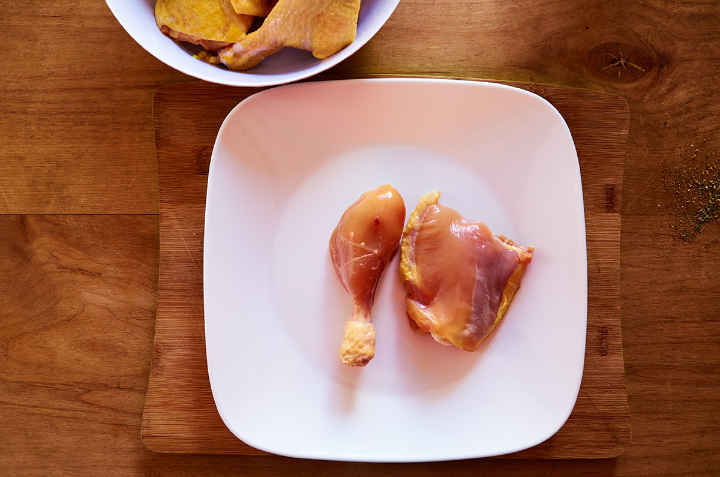 First, remove the skin from the chicken. Then, generously season the chicken with salt and pepper. 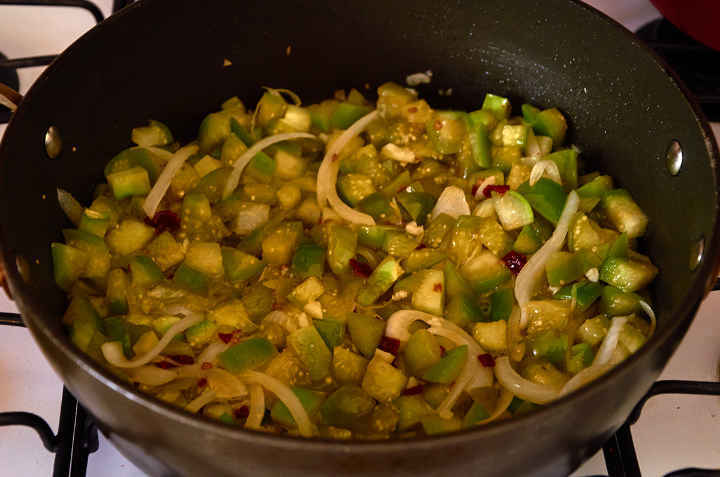 Set aside while you prep the potato, tomatillo, onion and other ingredients. Cut the potato into 1/2″ cubes. Cut the tomatillo into 1/2″ pieces. Slice the onion lengthwise into thin strips. Finely chop the cilantro, garlic, and chipotle chile. 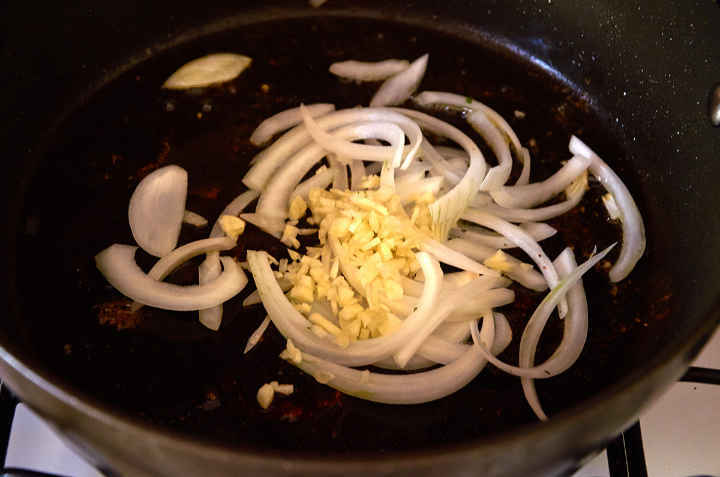 Preheat a large frying pan to medium-hot then add 3 tbsp. of olive oil. 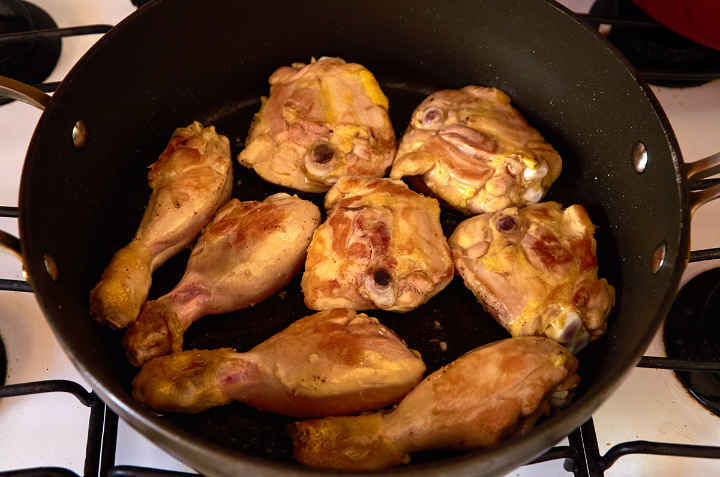 In the hot oil, lightly brown the chicken pieces on both sides. 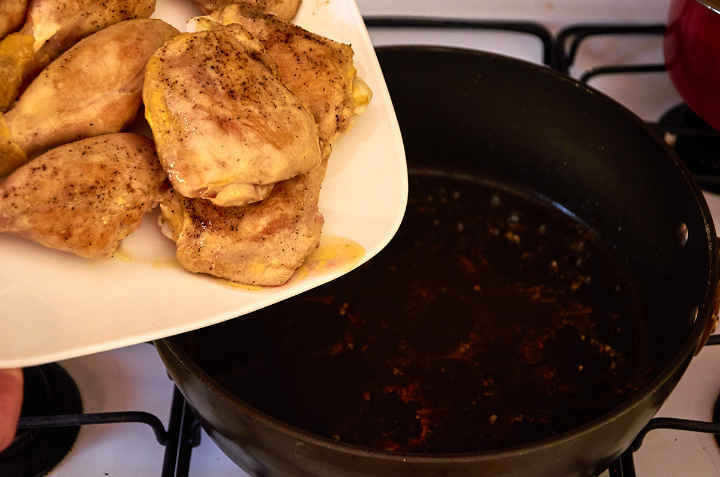 Remove the chicken from the pan and set aside while you work with the other ingredients. 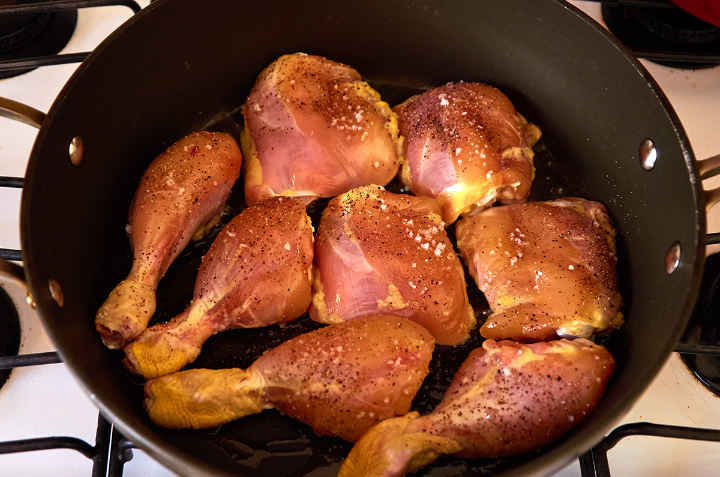 In the same pan that you cooked the chicken, add the onion and garlic and cook for 1 minute until the onion just starts to turn translucent. 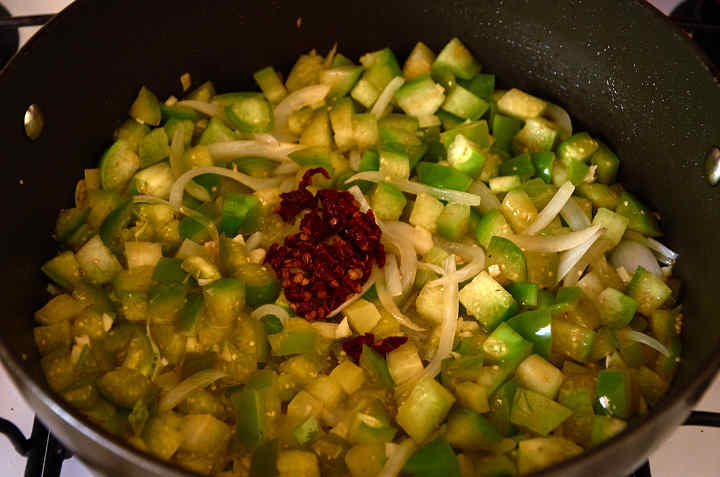 Then add the tomatillo and cook for 5 minutes until it has softened and is changing in color from bright green to pale green. Add the chopped chipotle and stir. The chipotle adds a little smoky heat. It’s just enough to give the sauce a hint of heat but not make it burn-your-mouth hot. Add the potatoes and cilantro stir well. Add the oregano and salt and stir. Add the chicken pieces. Reduce the heat to medium-low. Cover and cook for 20 minutes. 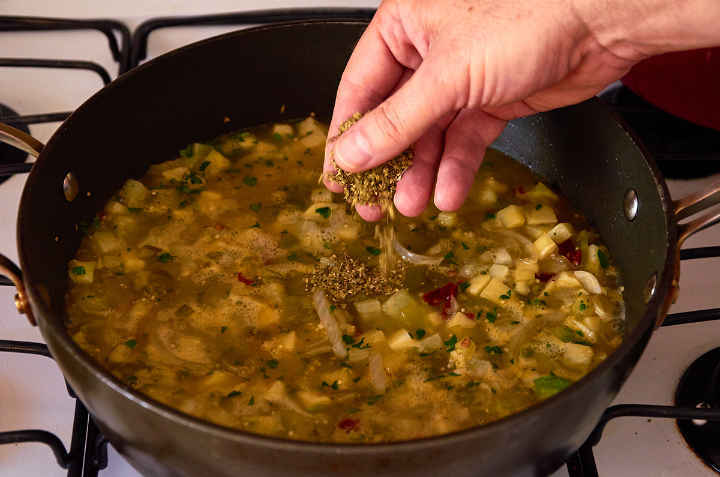 The tomatillo sauce reduces and intensifies in flavor. 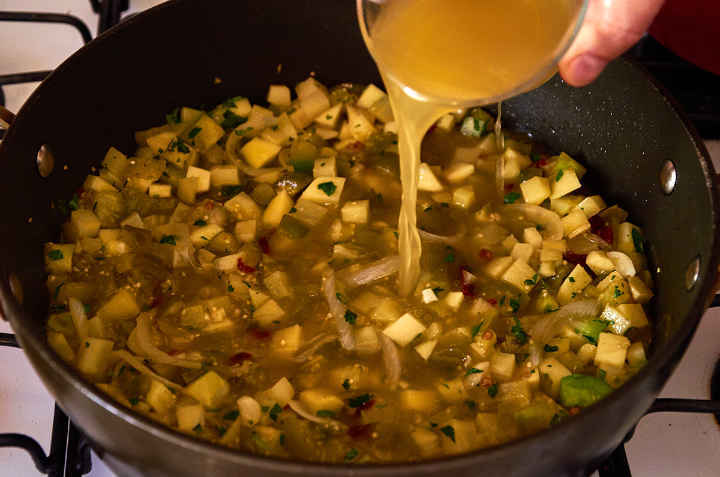 Spoon the tomatillo potato mixture on a plate and place 1 thigh and 1 leg on top. 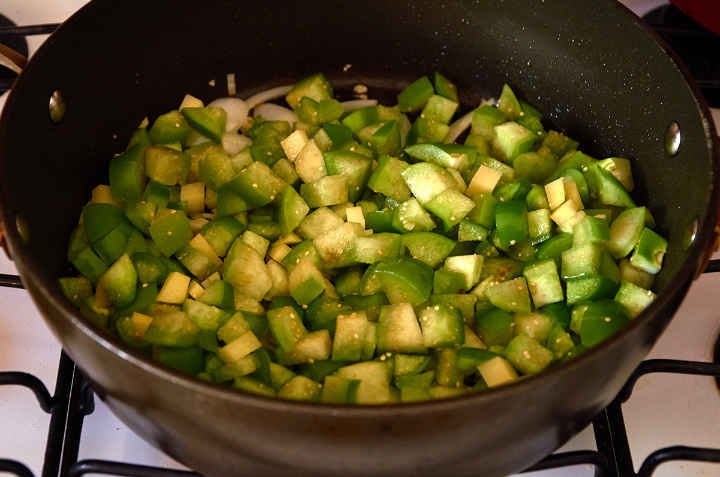 Serve with white rice or Mexican rice as a side dish. 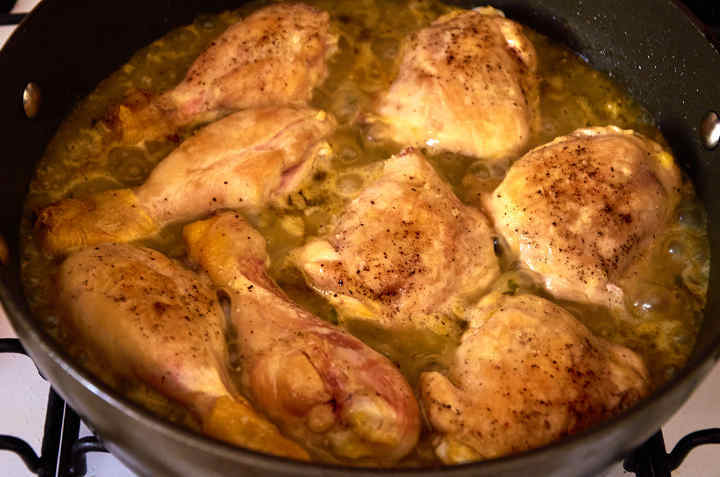 This will become one of your favorite chicken dishes. It’s easy to prepare and has depth of flavor. 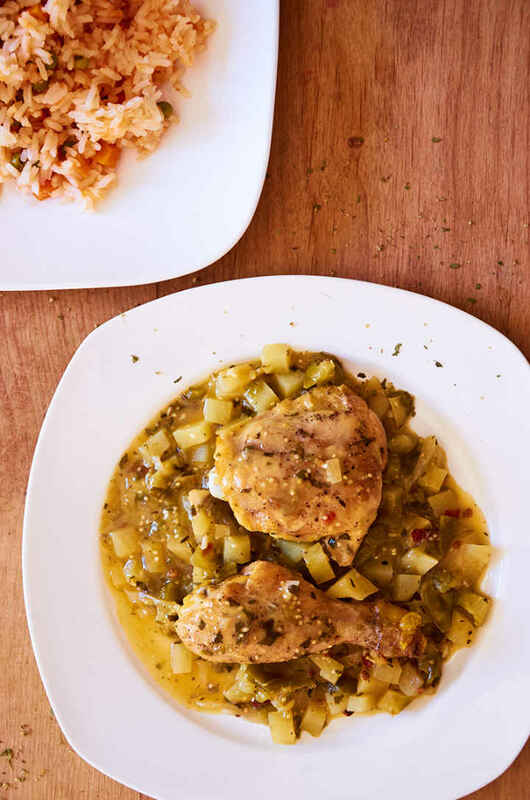 Tomatillo chicken, called pollo entomadado, prepared with skinless chicken thighs and legs, and white potatoes simmered with tangy tomatillos and chipotle chile in adobo sauce. 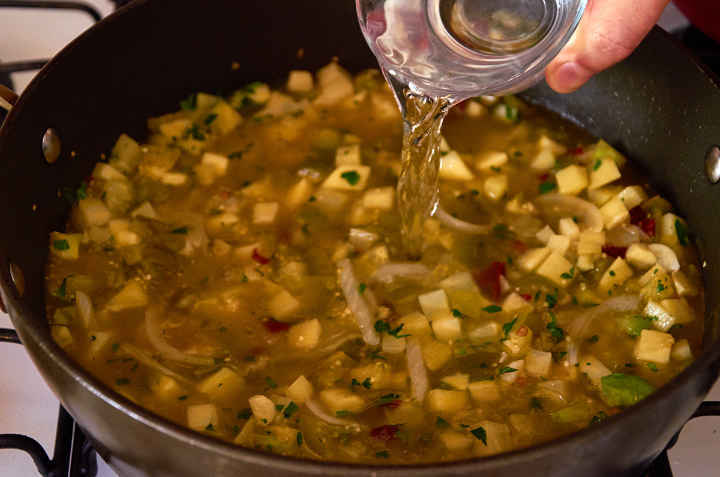 Remove the papery husk from the tomatillos then rinse under warm water. Cut the potato into 1/2" cubes. Cut the tomatillo into 1/2" pieces. 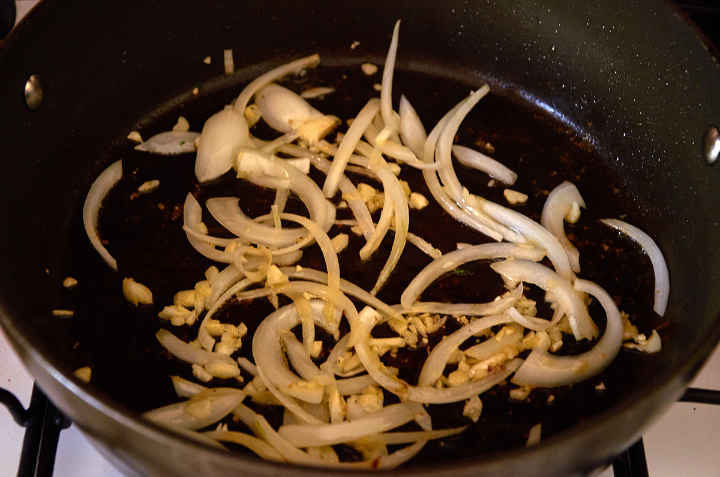 Slice the onion lengthwise into thin strips. 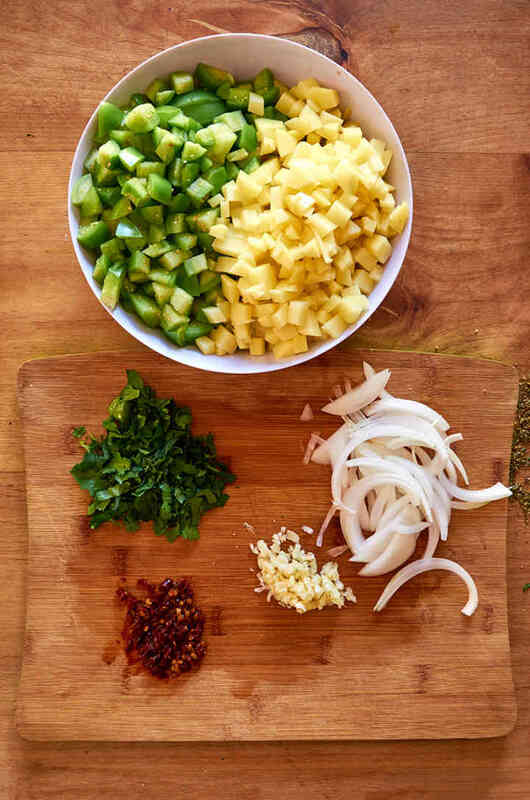 Finely chop the cilantro, garlic, and chipotle chile. Add the chopped chipotle and stir. Add the potatoes and cilantro stir well. Add the chicken broth, water, oregano, and salt then stir well. 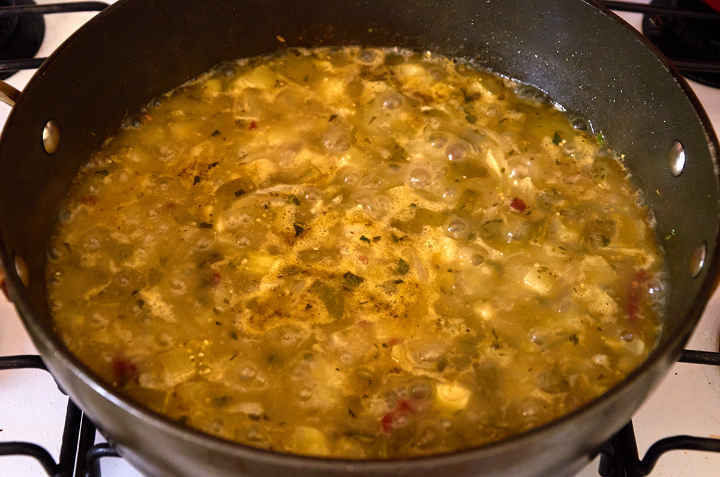 Bring the mixture to a boil then add the chicken pieces. Reduce the heat to medium-low. Cover and cook for 20 minutes. 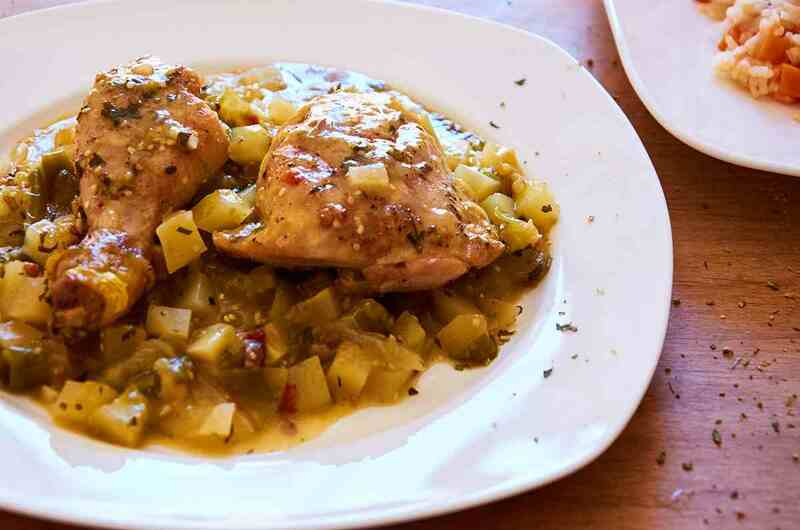 To serve, spoon the tomatillo potato mixture on a plate and place 1 thigh and 1 leg on top. 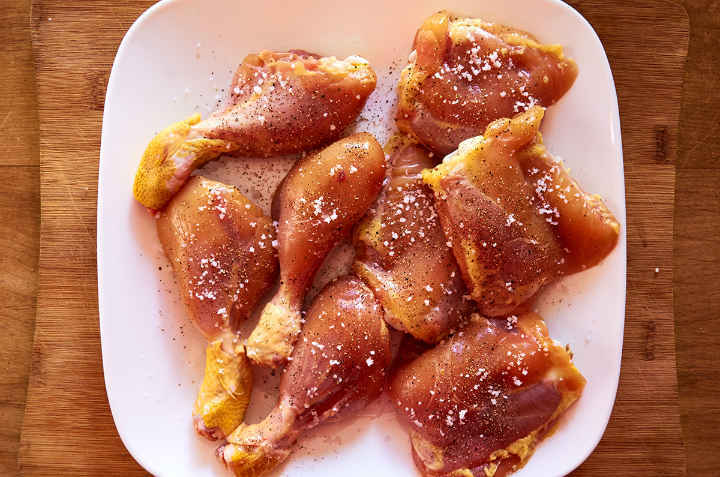 You can leave the skin on the chicken if you prefer. 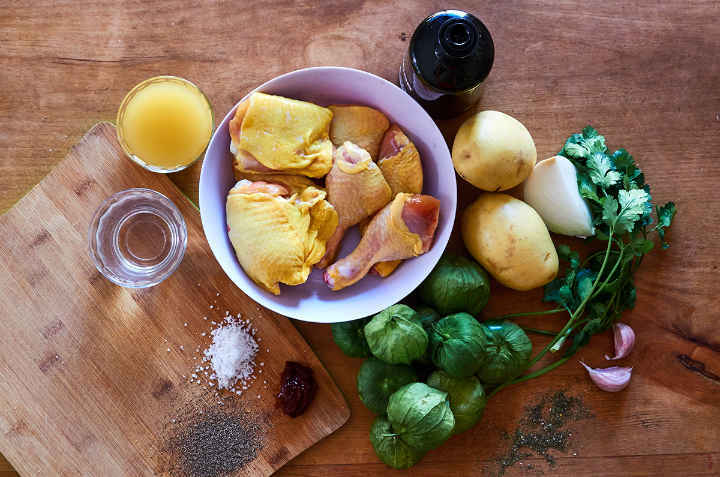 Follow the same steps for browning and cooking. It will keep well in the refrigerator for 3 days. Hi! This says to add cilantro and oregano, but doesn’t give amounts? Kathleen, it’s 2 sprigs cilantro and 1/2 tsp. Mexicano oregano. Thanks for the heads-up! 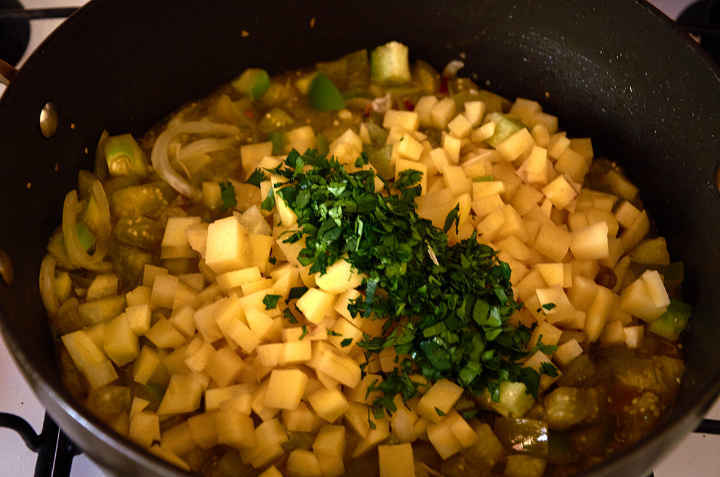 Made this keto-friendly last night by just omitting the potatoes and using half the amount of tomatillos (suggest reducing liquid since there’s no potatoes to soak it up) – it was a hit! Served with guacamole to tame my overuse of the chipotle in adobo ;) YUM! This is a big hit for the whole family. 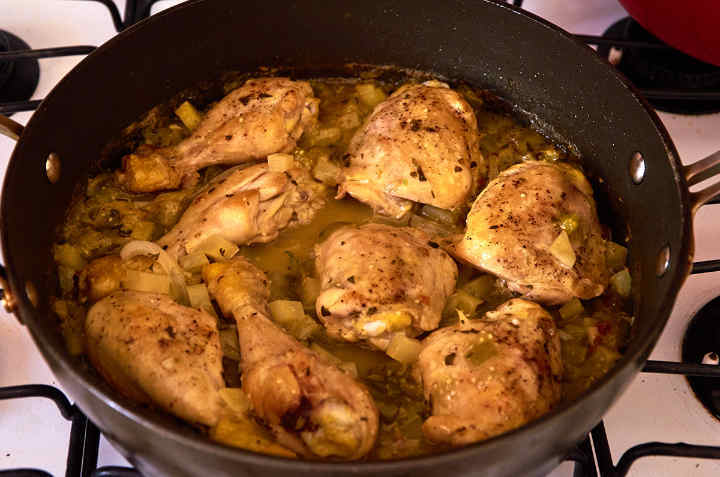 The kids (2 and4) enjoyed the chicken enough to power through the slow simmering heat that made their lips tingle. My wife keeps going back for more. I was glad to gobble up anything left on plates (almost nothing) and and am super excited for leftovers.